Too often mental health workers expect far more from their service-users than they are currently able to give. 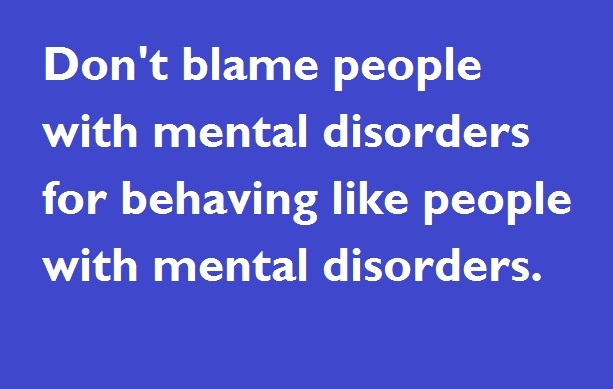 Then they blame them for having the very problems that brought them into mental health services in the first place. This is a fundamental misunderstanding of mental illness, of the process of recovery and of the role of mental health workers themselves. It’s true that people are just people and there really is no ‘us and them’. But when people are struggling it’s not fair to expect them to perform at their best. Instead we should practice ‘therapeutic optimism’… Accept the person’s current difficulties but continue to expect them to overcome those difficulties with a succession of little steps. If you liked this video please share it with others. And don’t forget to subscribe to my Youtube channel too! Next Should psychiatrists diagnose personality disorder?